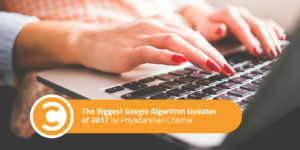 Priyadarshan Chomal is a Digital Marketing Analyst who specializes in SEO and Digital Marketing. He is a keen learner and likes to be the first one to know about Google updates for penalty recovery. Coming up with innovative social media and promotional strategies are his other interests.